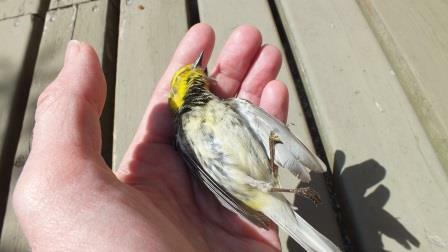 Every year up to a billion birds are killed in North America flying into window glass. That’s 10% of the total bird population in North America. Most of those are songbirds. My great window view is not so great for birds. This is something I think about here in Toronto, where glass highrises are a particular problem for the millions of birds migrating through the region twice a year. It is estimated that one to nine million birds are killed in window collisions here annually. It’s also something I think about as we design our country house. We plan to have full-height glass “walls” and expansive windows and I hate the thought that they may prove deadly to birds. Windows or forest? Birds can’t tell. So I’m always interested in clever or innovative ways prevent bird-collisions without obstructing the view out the window or detracting from the architecture of the building. That’s why this study on the ability of birds to see ultraviolet markings on windows caught my eye. A popular solution to this problem may lie in marking the glass with ultraviolet reflective or absorbing patterns, which the birds, but not humans, would see. Elegant as this remedy may seem at first glance, few of its proponents have taken into consideration how stark the contrasts between ultraviolet and human visible light reflections or transmissions must be to be visible to a bird under natural conditions. Complicating matters is that diurnal birds differ strongly in how their photoreceptors absorb ultraviolet and to a lesser degree blue light. While I knew some birds could see UV, I didn’t realize that the use of ultraviolet decals, paints, markers and films on windows was already common practice in preventing bird collisions. A quick search found dozens of such products for use in office buildings and homes. 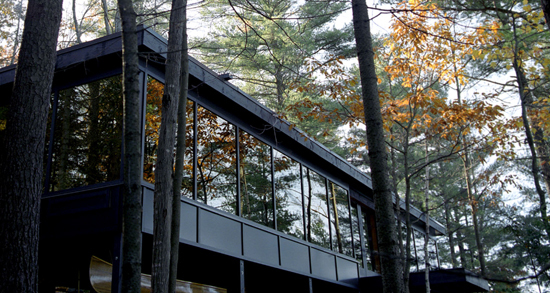 As well, glass panes containing ultraviolet absorbing patterns are available commercially. But how well does any of this work? On the one hand, ultraviolet absorbing stripes on a window with narrow (5–10 cm) spacing have proven almost as effective as covering virtually the whole window with human-visible markings (Klem Jr, 2009b). On the other hand, field tests of commercially available UV-patterned glass have, under see-through conditions, shown an increased likelihood of window collisions compared to ordinary window panes (Klem Jr & Saenger, 2013). So, in order to understand this disparity, the study authors — Dr Olle Håstad at the Swedish University of Agricultural Sciences and Dr Anders Ödeen at Uppsala University — asked two questions: Which birds can detect UV patterns and under what conditions? What they found was interesting. First of all, based on models of avian color-sensitivity, not all birds detect UV light equally. Within the color receptors of the avian eye, sensitivity in the ultraviolet part of the spectrum falls into two ranges: UVS (ultraviolet sensitive) and VS (violet sensitive). While there is some overlap between the two (some birds with only VS can see some ultraviolet light), UVS birds are more sensitive to ultraviolet. Which birds are these? Parrots, gulls and many passerines — that is, small perching songbirds. Birds that cannot detect UV very well or at all, include birds of prey, pigeons, corvids (crows and ravens) and waterfowl. But if so many birds can see UV, why do they still fly into UV marked glass? Two things cause birds to fly into glass in the daytime. 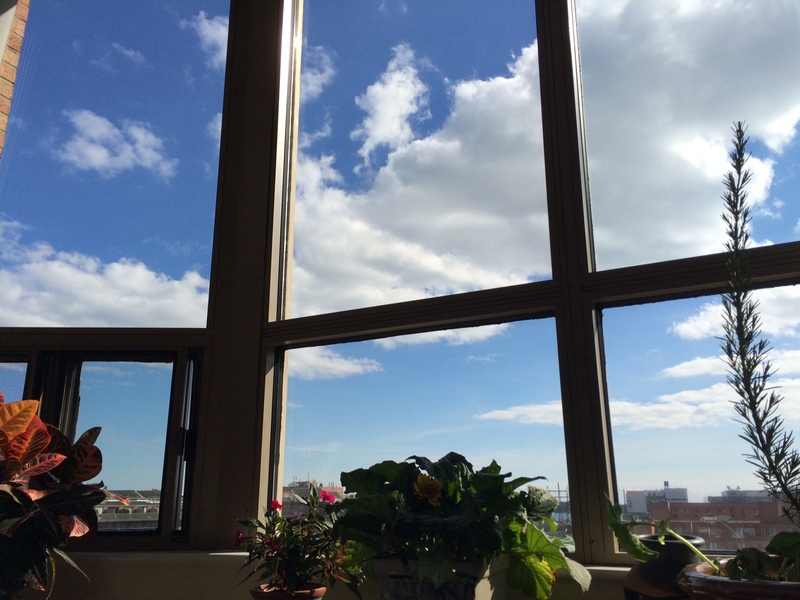 One is the reflections of the sky or surroundings that make it look like a continuous field — as in the two photos above. The other is the bird’s ability to see through the glass into, what appears to be an open space inside or through the building. A bird viewing a natural background of trees reflected in a glass window. And they ran each simulation at different times of day under different lighting conditions, with varying strengths of UV markings, and using both a VS and UVS bird model. What they found was that for a UVS bird to detect the ultraviolet pattern on glass, there had to be enough contrast with the surroundings to make the pattern visible. UV patterns would be more easily detected against a clear sky with little variation than they would against a complex background such as foliage. As well, the strength of UV reflectiveness (or blockage) had to be at least 50% on the complex background. For a good example of how that works, see this image set up for human-visible colors. The yellow cross-hatch pattern, simulating a UV pattern on a window, can be seen plainly against the sky but becomes invisible in front of the tree. If that were a pane of glass, I’d certainly walk into it when going for an apple. So, going back to the two building images up top, the glass highrise would do well to install UV-marked glass to help prevent bird collisions. But for my house, I am going to have to make sure the intensity of UV markings is strong enough to contrast against the surrounding woods.